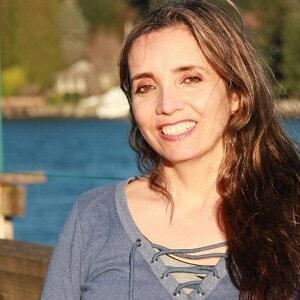 Inelia del Pilar Ahumada Avila, also known as Inelia Benz, was born in Chile in 1966, to very politically active parents. Her parents fully supported, and were close to, President Allende, who was overthrown during a violent coup d’état in 1973. What followed was the fracturing and devastation of her family. They all eventually left the country, and Inelia grew up in England. During the 90s, she moved, with her first husband and 3 children, to Dublin, Ireland, where she was sent to college to graduate in Communication Studies. Throughout her stay in Ireland she was an active Buddhist group leader. A practice she kept for 14 years and would recommend to anyone who is looking for a powerful daily practice. After that she moved to various countries and has been involved in assisting lightworkers and lightwarriors in their path as well as exploring and investigating what the “dark side” is doing on the planet. She has also been developing and investigating tools and practices which are quick and effective in the raising of awareness and vibration of individuals and the planet. The journey was not without its dangers and injuries, but has been worth it. On January 2010, she received a request from “Source” to go public, which she has done. The first thing she did was to establish an information source at www.ascension101.com. This assignment has been growing steadily and she has had the good luck to work with great leaders such as Lucia Rene and Bill Ryan. At the same time, her “behind the scenes” work with other lightworkers and public figures continues.